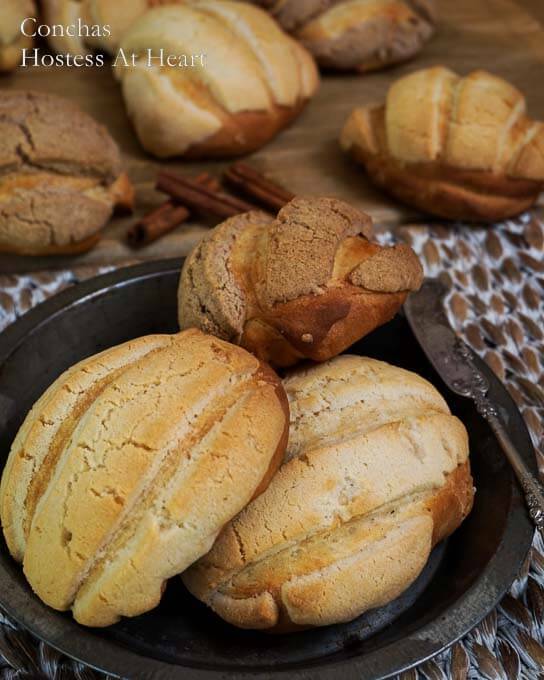 Conchas are an authentic Mexican yeast bread. They are a sweet bread that is tender and delicious and perfect for breakfast or at any meal. I love great Mexican food. 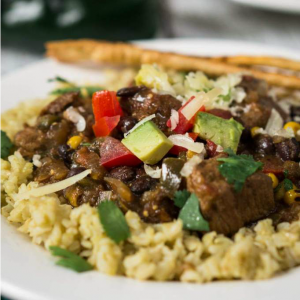 Not Tex-Mex but real authentic Mexican food. When I saw this Conchas Recipe I knew that I had to give it a try! My husband John and I love going to Mexico. We aren’t the “Margaritaville, party until you drop” types, we are the low key beach lovers, who enjoy a couple of beers and a plate of ceviche. One of the places we enjoy has a quaint main street that is lined with local restaurants and shops within walking distance of where we stay. On our way down the main street, we pass a gentleman with a truck of homemade pastries. It is evident that he loves sitting there, visiting with people as they pass by. One of the items that he sells resembles a bread that I chose called “Conchas”. 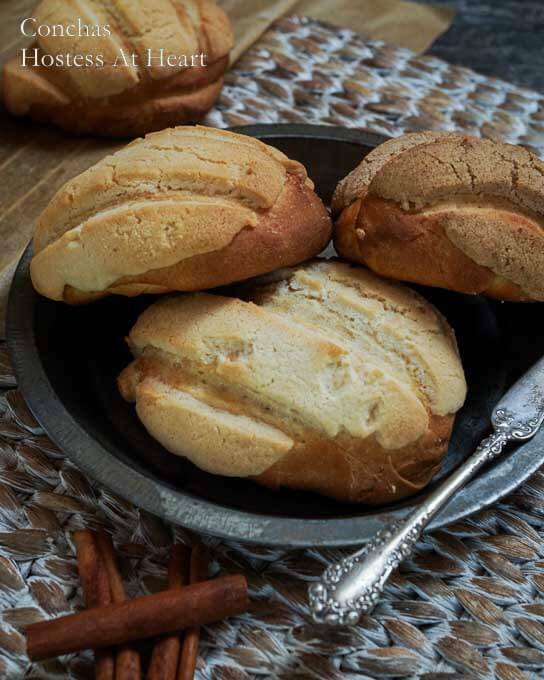 Conchas are a sweet bread topped with a vanilla or cinnamon coating. This coating is sliced prior to baking so they resemble a shell, which is where they get their name. I made this bread exactly as recommended. Next time I would try reducing the amount of flour in the topping. I thought it was hard to get thin enough to wrap around the dough and tended to chip off the baked roll. It is delicious though so I just stuck it back on with a slather of buuuttterrrr. When instructed to cut the lines into the topping, I got carried away and went a little deep so my rolls butterflied a little bit. These rolls came out tender, moist and delicious. They made a welcome addition to our breakfast table. 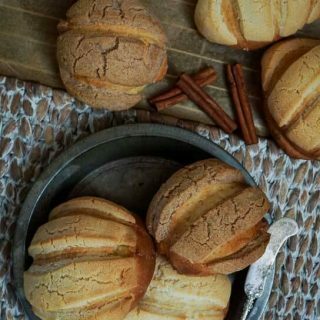 I would definitely make this Mexican Conchas recipe again. 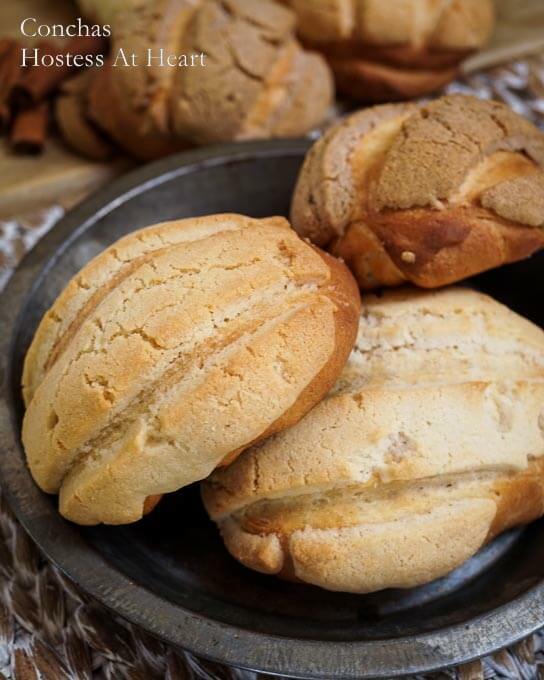 Conchas are an authentic Mexican yeast bread. They are a sweet bread that are tender and delicious and perfect for breakfast or at any meal. In a large bowl, stir together the yeast and warm water. Mix in the evaporated milk, sugar, melted butter, salt, egg and half of the flour. Gradually mix in the remaining flour and cinnamon. Turn the dough onto a lightly floured work surface and knead until the dough is smooth and pulls together, 6 to 8 minutes. Put into a lightly greased bowl, turning once to coat both sides. 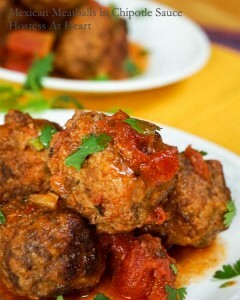 Cover and allow to rise at room temperature until doubled, approximately 1 to 1-1/2 hours. While bread rises, make the topping. In an electric mixing bowl, beat the sugar and butter together until light and fluffy. Stir in the flour until it resembles a thick paste but not crumbly. Divide into two bowls. Mix cinnamon into one-half and vanilla into the other half. Set aside. When the dough has risen, cut into 12 even-sized pieces and shape into balls. Place dough balls onto two parchment paper-lined (or greased) baking sheets, 3 inches apart. Pat flat and place circles of topping on top of each, patting down lightly. Use a knife to cut grooves into the topping like a seashell. Cover and let rise until doubled, about 45 minutes. Preheat the oven to 375° degrees F. Bake until deep golden brown, 16 to 20 minutes. 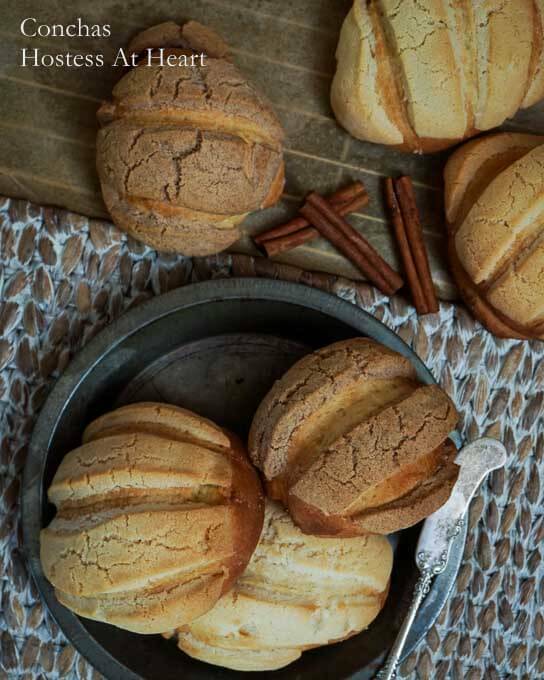 This Mexican sweet bread would go marvelously with these recipes! These loaves are so beautiful that at first sight I thought they were cakes! Thank you! 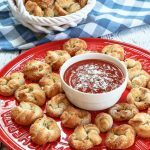 They were delicious and fun to make! These are absolutely gorgeous, Julie! I know they must taste amazing, too. I love the cuts in them that make them look like shells. Thanks so much for sharing the beautiful pictures and recipe. Thank you Shari! I really enjoyed making them. The dough is sweet but they aren’t overly sweet and are perfect for breakfast or brunch. I’ve never had Mexican Sweet Bread, but this looks delicious. 🙂 Thank you for sharing. Thank you for stopping by! I had never had them either and they were a treat! Oh I would love a slice of this at my desk right now! 🙂 Love the spreader by the way! Thank you! You know I would love to share! I found the spreader in an antique store. I like it too. I love a great find! That is one gorgeous looking bread. Never heard of it before. You are an expert at bread making! I love the smell of bread baking. Had to smile–butter fixes a lot of things! Thank you Patti! You are right about the butter! This looks fabulous Julie. You made a perfect bread! I am pinning it for my Mexican adventure! thanks! Thank you! 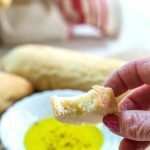 I had never heard of this bread and it was a joy to make. Thank you so much Josette! That means a lot to me. Photography is definitely a work in progress! I enjoyed baking them too! I’ve learned so much about Mexican breads today. Your conchas look amazing! You did a perfect job of shaping them. Happy Cinco de Mayo! Thank you! I have too. So much fun. I have been meaning to try these. Soon! They are fun and yummy! Thank you. Ha thanks Jess! I’m going with the “rustic look”. Thanks Sarah! It’s fun discovering new things to make. I hadn’t either. 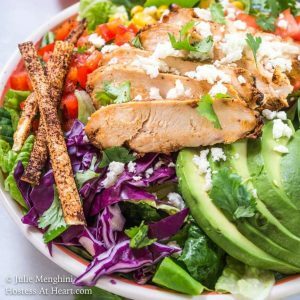 Delicious recipe Julie 🙂 where do you like to travel to in Mexico? Isla mujeres. But don’t tell anyone. I don’t want to share the beautiful beaches and delicious restaurants. These are gorgeous, Julie. I’ve been wanting to try these for the longest time and I can only hope mine come out looking as tempting and beautiful as yours. Thank you Robin! The dough was like a sweetbread and my hubby gobbled them right up. Gorgeous bread and photography! I’d love to try one of these after a ceviche starter! Happy Cinco de Mayo Julie! I’ve never heard of this bread before, but it sounds delicious! I haven’t been to Mexico yet either (and I’ve lived in Texas for the majority of my life! Hah, I’m a bad Texan!). 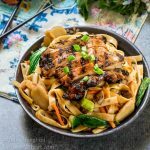 But this recipe sounds great and I love that it perfectly fits the holiday! Thank you Heather! I had never heard of it either but it was a lot of fun to make and I learned a few things. Enjoy your day! Your conchas are so beautiful! We’re definitely more low-key, as well…I would be entirely happy sitting back munching on one of these con una cafe! Thank you Heather! I enjoyed making them. Great challenge this month! That bread is beautiful, you are amazing. 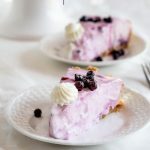 What a wonderful recipe and your photo’s are gorgeous. Thank you so much Suzanne! I’m working on those photos! I admire so many of our blogger buddy’s skills. You know what Julie. Every time I visit your blog it makes me nostalgic. I can actually smell and taste your food. The way you talk about food reminds me of Enid Blyton on whose books I have literally grown up. Her description of food is just like how you do it. The bread looks amazing. Thank you skd! What a wonderful compliment. You never know how your stuff comes off to someone else. Thank you for taking the time to tell me. BREAD…I just love the stuff. I have been wanting to tell that for a while. Your baking challenge reiterated that. The breads you have been turning out are amazing. Thank you skd! You are one of my fav blogger buds.